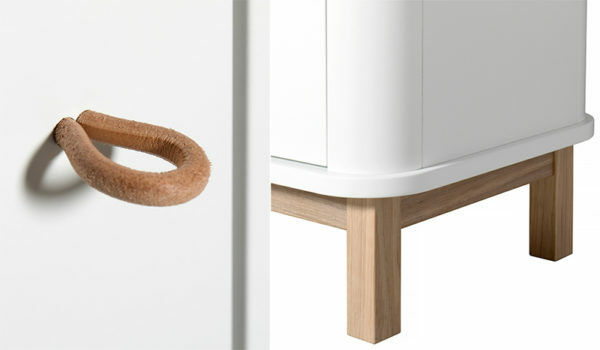 A compact cupboard that is nothing but sleek and stylish on the outside while housing all the chaos on the inside? This is Scandi storage style at its very best! A new addition to the Wood collection, the Wood Multi Cupboard boasts serious storage capabilities on a compact scale. 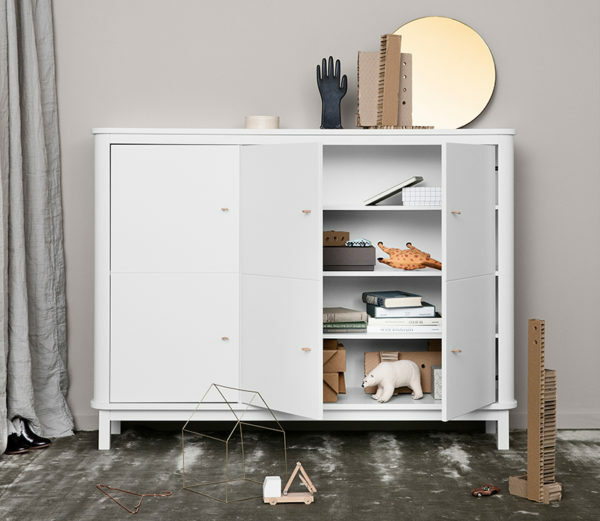 Rounded cabinet edging, leather loop pulls and with a clean, crisp white finish, this cupboard is representative of Oliver Furniture‘s signature Scandinavian style. Standing at 126cm (H) x 168 cm (W) x 46cm (D), the Multi Cupboard stores all the kids’ gear (toys, clothes, books, you name it) using a minimal floor footprint – making it an excellent choice for small spaces. Three large doors make it easy for accessing the numerous shelves and enable you to survey all contents at a glance, depending on how well the kids tidy up of course! Choose from oak or white base and legs, the Wood Multi Cupboard is priced €999. Unfortunately Oliver Furniture is not yet available in Australia, so a re-shipper will have to be used to deliver one of these gems to your child’s space.